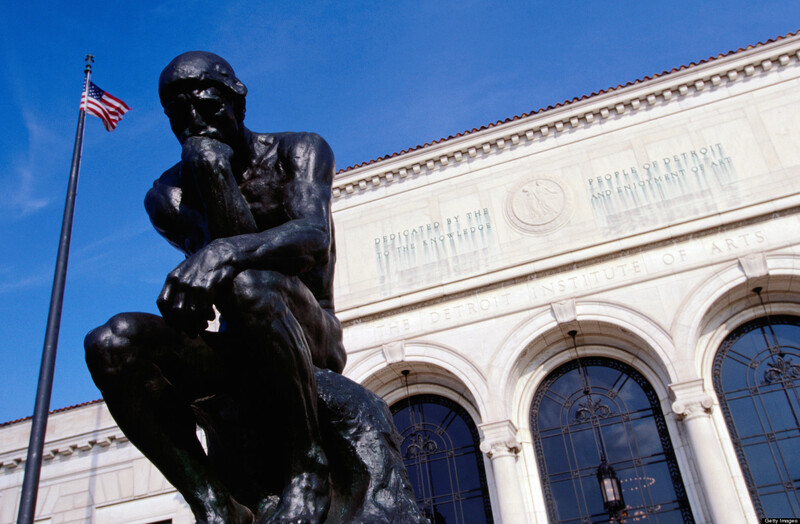 Tyler Green of Modern Art Notes had the excellent idea to dedicate a day of his blog to the Detroit Institute of Arts, one of the greatest museums in the United States and a Detroit cultural lodestone since its founding in 1885. A Day for Detroit celebrates and brings attention to the DIA’s exquisite collection which is under threat from the city’s $18 billion bankruptcy. Emergency manager Kevyn Orr has said they don’t plan to strip the museum and sell off its collection to help pay down the city’s debt, but he has also said all assets are on the table and talk is cheap when Orr is willing to spend $200,000 to hire Christie’s appraisers to assess the value of every piece in the DIA collection that is not blocked from sale by the conditions of the donation. It’s not clear that the collection as a whole is legally salable. According to a 22-page opinion released by Michigan Attorney General Bill Schuette, “art collection of the Detroit Institute of Arts is held by the City of Detroit in charitable trust for the people of Michigan, and no piece in the collection may thus be sold, conveyed, or transferred to satisfy city debts or obligations.” The bankruptcy judge may or may not consider Schuette’s opinion and even though the state senate has passed a law prohibiting the sale of the museum’s art except for the purpose of buying new art or otherwise enhancing the collection, the house won’t vote on it until they return from summer recess and anyway federal law may trump anything the state legislature passes. With all this uncertainty in the air, it’s just and proper to focus some attention on the Detroit Institute of Arts and its endangered collection. There’s a preliminary list of participating blogs at the bottom of this article. My homie Edward Goldberg at Italy’s Secret Places has already posted a lovely entry on the bonds between Florence’s rich art history and the DIA. I’m going to usher in A Day for Detroit here with a certain Guido Reni piece that might be familiar to anyone who was reading this blog a year ago. The Detroit Institute of Arts is the proud owner of an oil on copper painting called Head of Christ Crowned with Thorns. Reni painted it around 1630 by the 19th century it was a favorite subject for mass-production lithographs, plates, postcards. 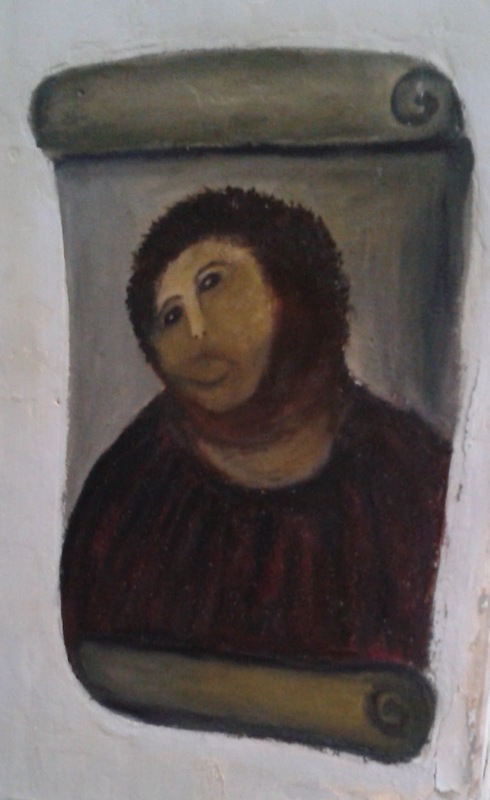 Its most fateful copy was painted at the turn of the 20th century by Elías García Martínez on a wall of the small church of the Sanctuary of Mercy in the town of Borja, Aragon, northeastern Spain. For a hundred years it was a minor flaking oil painting hastily and improperly applied directly to the wall, but last year it transcended all that by becoming a canvas for the “restoration” enacted upon it by elderly church volunteer Cecilia Giménez. For that alone the Internet owes a huge debt to the Detroit Institute of Arts.